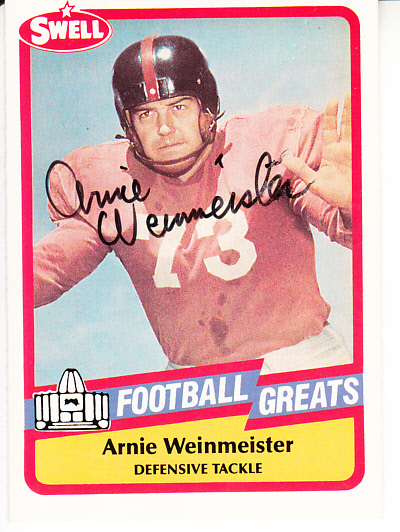 1989 Swell Football Greats Pro Football Hall of Fame card autographed in thin black marker by the late Arnie Weinmeister. With certificate of authenticity from AutographsForSale.com. ONLY ONE AVAILABLE FOR SALE.